This is surely one of the "love-liest" quilts you'll ever make! There are 8 applique blocks each with its own theme. There is a "Bunny Love" block, a "Bee Mine" and even a "Hugs & Kisses" themed block! Finished Quilt is 70” x 58". Each month you will work to complete the featured block and practice your Applique and Quilting skills. The 9th session will be to assemble the quilt. 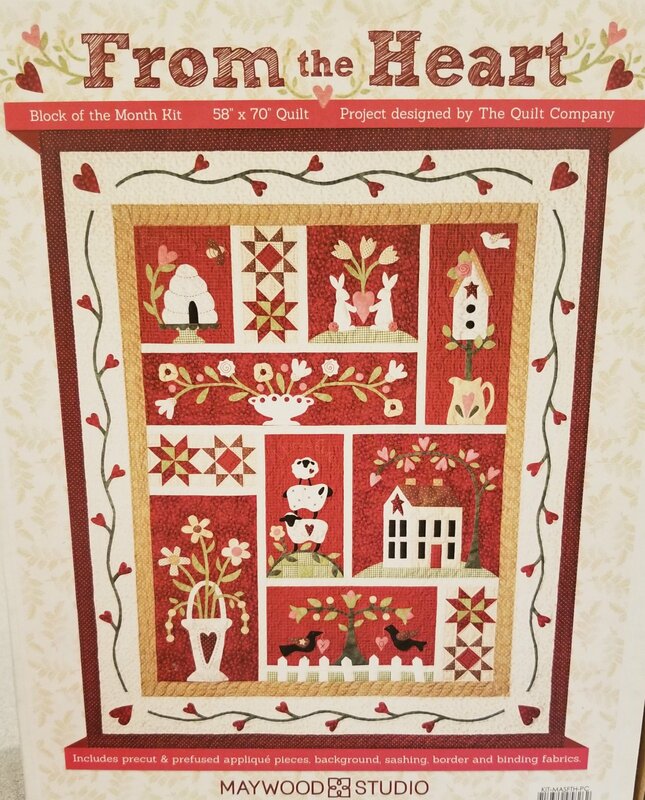 By purchasing the From the Heart Quilt Set, you are also purchasing the open quilting sessions. All materials are included in the kit, including the pre-cut and pre-fused applique pieces! Just bring batting to complete your quilt in session 9. Requirements: Sewing machine and related accessories, a walking foot is recommended. Quilt batting will be needed.